With Payoneer, you will be able to open and own usbank account as a non-U.S citizen. It is a checking account and you are provided with a master card with which you can use on any ATM in the world. This implies that you will no longer wait to accumulate royalties or earnings from your online businesses to a certain threshold before you get paid by cheque which always comes with some challenges like undelivered cheque, high cost of clearing it or being unable to clear the cheque. To register and apply for this payment solution, click this apply now link to register. 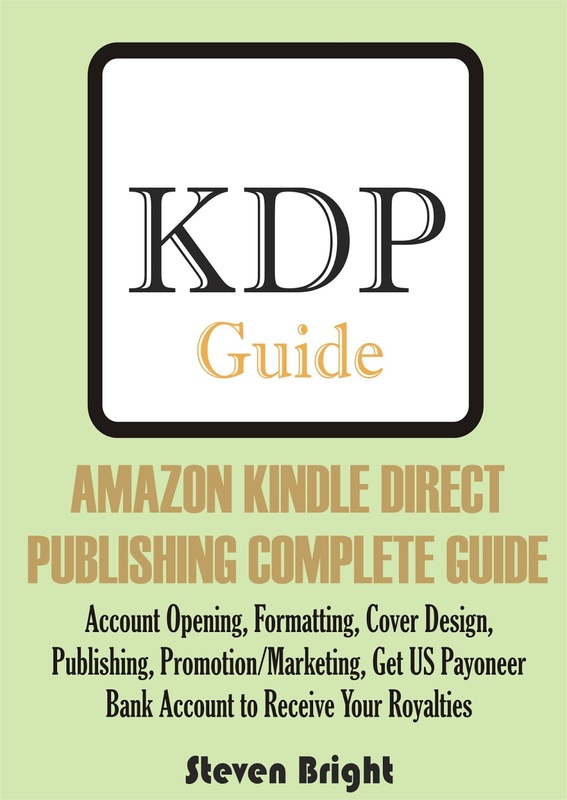 As an author or publisher, freelancer, or an affiliate you can use this service to receive your royalties or earnings from Amazon KDP, Draft2Digital, Google AdSense, Fiverr, Upwork and many others. 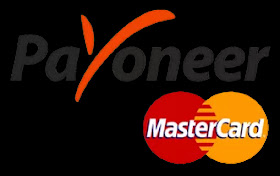 You can register with Payoneer now if you need an account, register by clicking this apply now link. You can apply for the Payoneer Bank account for free by going to the company website by clicking here. Once you successfully register, you will receive an email informing you of the approval. Make sure you use your legal details same with the ones used in your online businesses account. The next email you will receive from them will contain your bank account details like (The name of the Bank, account number, routing number, and your holder name). Go to Payoneer website by clicking here now. Fill the form provided with the required details. Make sure you use a correct P.O Box mailing address or postal code of your area, house address, email, and phone number. You will receive an approval email and account details through your email soon after registration. In one of the emails you will be informed that your Payoneer card have been shipped through regular mail and the expected period of delivery. From experience, the regular mail delivery is good but not too effective because the expected delivery period will pass sometimes without some people receiving the card. So, in such a case login to your Payoneer account and re-order the card but ask them to ship it through expedited shipping. After successfully opening the account and while you await the delivery of the card, it is good you login to your Payoneer account using your email and password to submit the verification documents. At the bottom of the page, click on the button that ask you to submit evidence of your online business and identity card. Properly submit these documents. You can now go to your online business accounts and enter your Payoneer usbank details appropriately. Make sure you select EFT as pay option and checking as type of bank account. If after almost two months of application your card was not delivered by regular mail, then it is good you login to your Payoneer account to re-order it and then let them deliver it through expedited shipping via DHL which will cost you $40 and the card will be delivered to you in few days. The delivery cost will be taken from your Payoneer card and that was why I advised you to enter the account details into your online businesses account so that you will start receiving payments into it. Note: Once you decides reorder another card in place of your missing or stolen card you will be charged extra $12 on ordering for a replacement. Also, to order your card via expedited shipping once the last regular shipment period is over without getting the card, use the "contact us" button at the bottom of the page and not through the manner you applied for reorder via regular mail shipment. Login to your Payoneer account. Click on the "Activate" tab at the top of the dashboard. Enter the card number in the field provided for it. Enter your chosen PIN in the field provided for it. Confirm the PIN by entering it again in the next field. Note that in case you ordered more than once before the card was Delivered, you must select the appropriate card having the 16 digit number on the one delivered to you during the activation process. 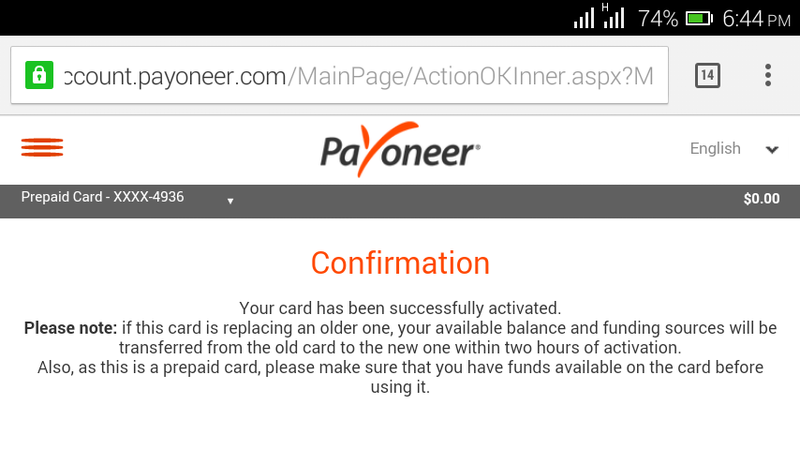 Your Payoneer card is now activated and ready for use. This image shows the successful activation confirmation message. You can check your account balance by login to your Payoneer account or through ATM as you go to shop online with your money. You can also shop online with your money and then sell off the product if you need the cash. Refer people to use Payoneer and both of you will get a $25 reward once the person have received a total of $1000 through his account. So, you can register for your account now by clicking this apply now link. 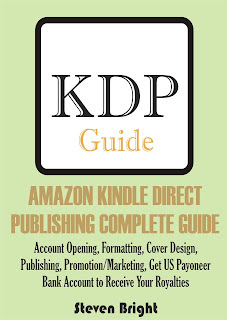 Login to your KDP account. Scroll down to just after the tax interview and click on the "Add Bank'' link. Select the country from the list which is US since Payoneer bank account is a US account. Enter the bank name, account number, routing number, your name as the holder in the fields provided for them and select checking as the type of account. This will automatically be added to all the national market places. Click on the + sign in front of each market place to confirm that EFT payment option is selected and also set the currency of your choice. The best way to contact Payoneer and have direct access to a customer service agent rather than their custom email response when you use the "Contact Us" button on the the Payoneer website is to contact them through their Facebook page. Send them message through the page and you will likely get a real response within a week. Use this link to get to the Payoneer Facebook page. 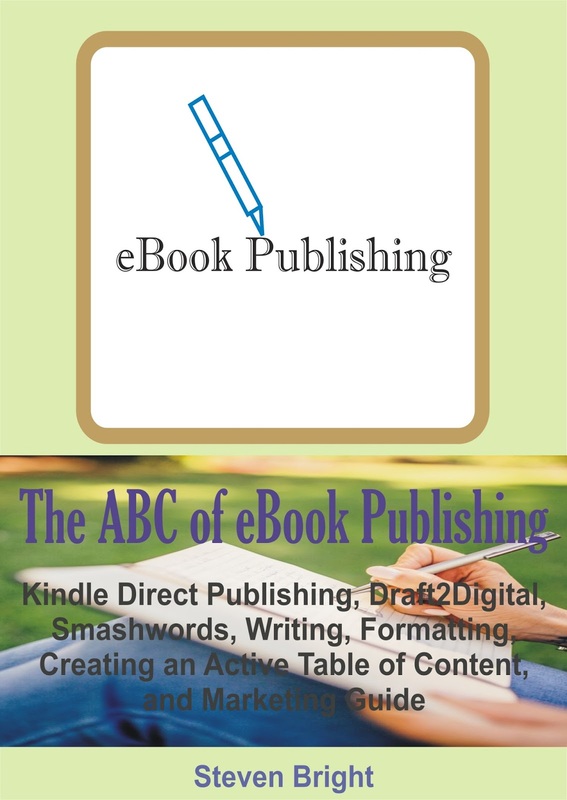 Check out these my books on how to hack through eBook publishing and marketing skills which is live on Amazon. If you have any questions concerning Payoneer Bank account, you can let me know through the comment box. Nice to know that you find it helpful. Thanks for sharing this awesome guide. You'll like this site too which is hosted on blogspot. 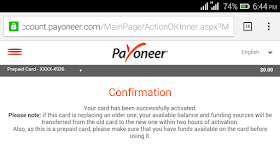 Payoneer $25 Sign Up Bonus. Nice to know you liked it. Non-residents can open U.S. accounts at banks such as HSBC, Citibank and Wells Fargo. All you need is to walk into a bank branch in the US with 2 forms of identification. If you are planning a trip to US, you can call a branch to make sure they open accounts for nonresidents. You can use Bank Branch Locator to locate branches and get phone information. Click on the + sign in front of each market place to confirm that EFT payment option is selected and if not, you can then select EFT from the options as the payment methods you want. The bank account Payoneer opens for you is a U.S one and U.S banks only make use of routing codes. So, you do not need to bother about BIC or SWIFT codes which are European standards. Feel free to comment or ask any question you have.